ABA focuses on the principles that explain how learning takes place. This systematic approach of influencing socially important behaviors takes a skill and breaks it down into its small teachable components and then reinforces the completion of each step. ABA is data based, which means progress and behavior are regularly tracked to ensure success! This therapy motivates children through exciting, positive and natural opportunities that over time change their life as well as their loved ones. A 2005 study by Howard, et al. found that children receiving intensive ABA made significantly more progress, including becoming 6 times more likely to score in normal range for life skills, than those receiving other treatments. In addition, at this time, ABA is the most researched, evidence-based treatment available for autism. A 1987 study by Dr. Ivar Lovaas, found that 47% of children with autism who received ABA 40 hours a week passed general education first grade, compared to just a 2% pass rate for those who received only 10 hours a week of ABA. A: Yes! ABA has a very wide scope of application. It has been effectively applied in many environments such as educational settings, business settings, animal training, health/fitness coaching etc. ABA is an effective approach for children without disabilities with activities such as morning routine, potty training, desensitization, self help skills, etc. A: Absolutely! We provide services onsite at your child’s childcare center, private school, as well as our Libertyville office. We also provide services in your home depending on therapist availability. A: First, schedule a free ABA consult. During this call, you will learn more about ABA and the benefits for your child’s further skill development. Then, we do an assessment to evaluate your child’s strengths and targeted areas of need. Together, we develop a plan that works best for your child and family to achieve his/her goals. 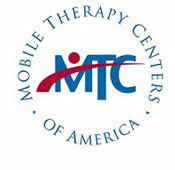 Why Choose ABA at MTC? Our approach includes a family centered treatment plan that works collaboratively with all professionals involved in your child’s care to ensure the best outcome possible. We offer Clinic based services at our home office in Libertyville, IL and In-home therapy to fit all of your family’s needs. We know your time is valuable! By having all of our services in one place, MTC is convenient for families and maximizes time for those who receive multiple services. Autism Spectrum Disorder (ASD) is a developmental disability that can cause communication, social and behavioral challenges. Children and Adults with ASD may interact, think and learn differently than most people. If you think your child may be at risk, you can contact your local pediatrician or read more here. If you would like to pursue a free Applied Behavioral Analysis (ABA) phone consultation with Raquel Roos M.A. BCBA to review benefits of ABA services for your child’s further skill development, please contact rroos@mtcus.com or 847-816-7200.